Setting up sound devices on Windows can be a messy business. 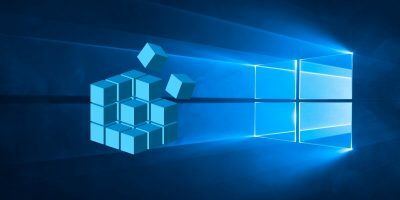 Drivers can clash with each other, Windows might mis-read one kind of sound output as another, and you may have to dive into your sound settings to figure out exactly what’s going on. 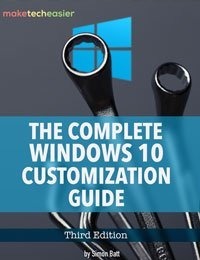 Of course, all going well, you should be able to plug a sound device in and have it just work, but if that doesn’t happen, then this guide is here to swoop in and save you. 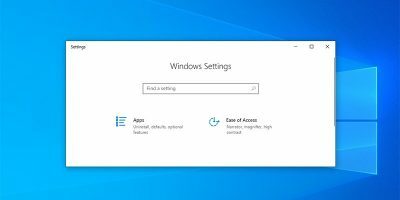 If you plug your headphones into your Windows 10 PC and get that reassuring “Ding” sound, the good news is that they’re being detected at a hardware level. 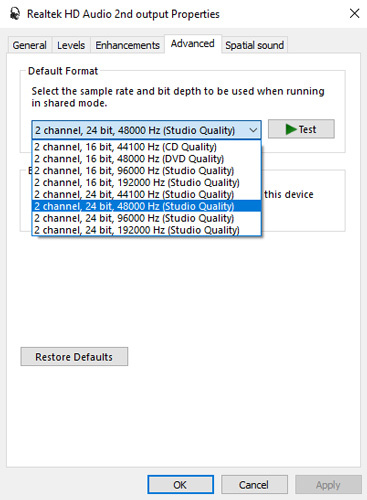 The bad news is that something’s going wrong at the software end in delivering the sound from PC to headphones. 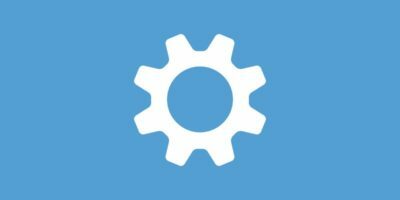 Some users have also reported the following as a fix. 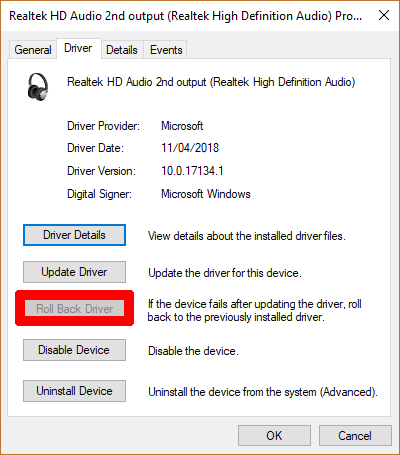 On the “Update driver” window, click “Browse my computer for driver software,” then “Let me pick from a list” and select “High Definition Audio Device.” You may get a warning message that the driver may be incompatible. Ignore the message, then go ahead and install the driver. 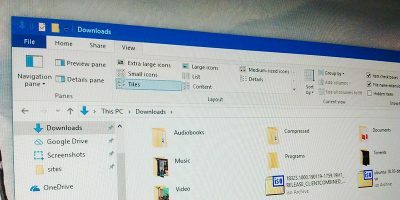 In the Sound window, click the “Playback” tab, right-click an empty spot in the box below, then check the “Show Disabled Devices” and “Show Disconnected Devices” options. In the Sound window still, click the Playback tab. 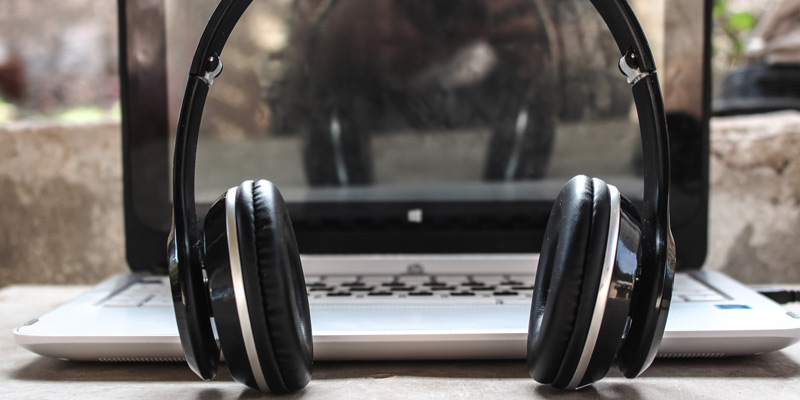 Right-click your headphones (they may appear as “Speakers” if plugged in or as a “2nd Audio output” or similar), then click Properties and the Advanced tab. Try playing around with the “Default Format” of the headphones, clicking “Test” each time you change it, to see if you start hearing audio. AC97 are HD Audio are two audio standards that generally connect to the front 3.5mm jack port on plenty of desktop computers. 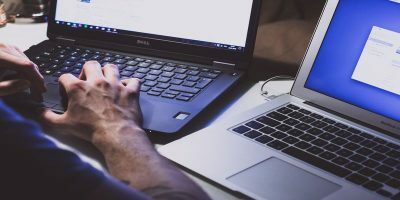 Whether your PC uses one or the other will ultimately depend on which header connects your motherboard to your front sound ports. Assuming everything is correctly hooked up on the inside (i.e. 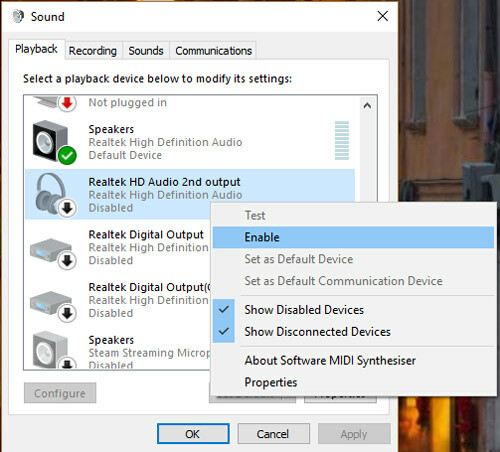 using the more recent HD Audio header, which detects devices automatically), you should go into your audio driver tool and ensure that your ‘Connector Settings’ are correct. 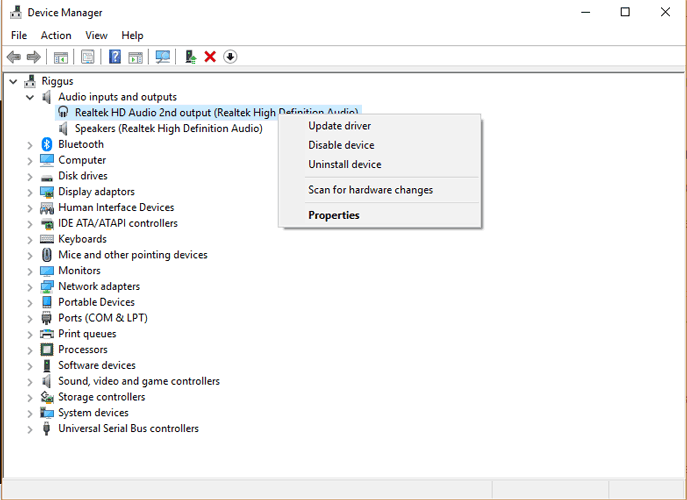 Our audio driver tool is Realtek HD Audio Manager (found in the Control Panel). 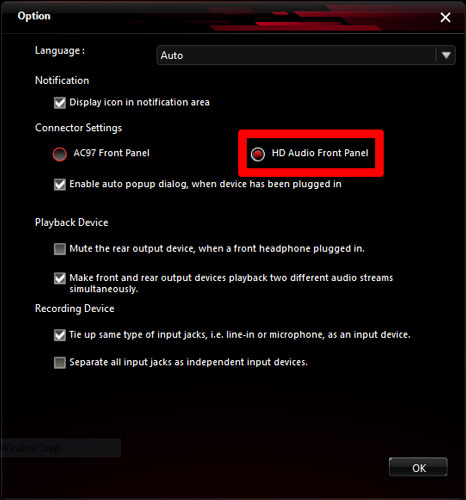 Open it, click the Settings cog in the top right corner, and ensure under “Connector Settings” that “HD Audio Front Panel” is selected. 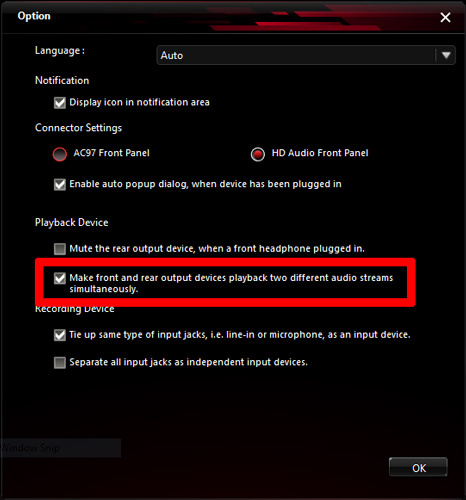 While you’re here, you can also use headphones as a second audio device instead of replacing your speakers by ticking the box we highlighted in red below. That wraps it up. 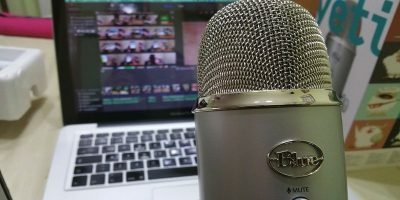 Sound can be an awkward issue to troubleshoot, with many different problems spawning many different solutions. 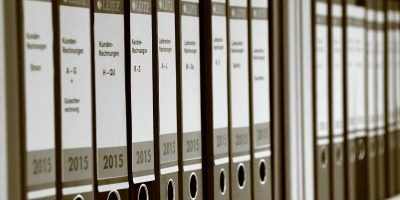 Hopefully, you’ll find what you need above. If not, leave a comment below and we will help you out.